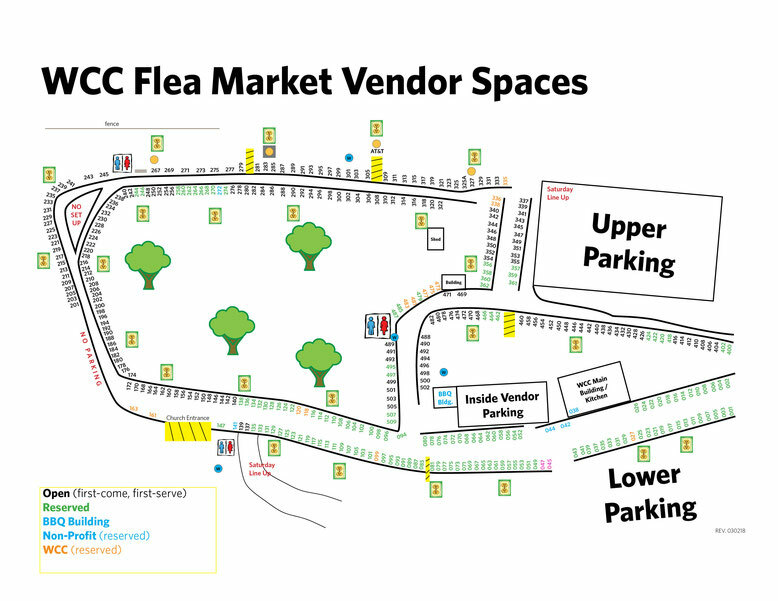 - The Flea Market is Every Sunday, rain or shine. - Selling starts at 6 am, indoor and outdoor vendors. - Rent is $25 per space. - Non-Reserved Spaces are always first-come, first-serve. We have 300+ non-reserved spaces. (We do NOT provide tables outside, you need to bring anything you might need for outside set-up. - We offer both Reserved and Non-Reserved Spaces. (rented by the month), you must come in and add your name to the list for a reserved space. Inside spaces: side doors open at 5:30am, come to the information window to be assigned your tables. Tables and chairs are provided, tables and/or chairs do NOT leave the building. - Please see rules below or inquire at the information window in the main building on Sundays. The flea market is open every Sunday, rain or shine. Year-round and is home to over 400 vendor spaces. NOTE: IF YOU ARE A FLEA MARKET VENDOR YOU MAY NOT DISPLAY OR SET OUT YOUR ITEMS FOR SALE UNTIL 6:00 A.M. SUNDAY. There is an ATM, restrooms and the Blue Pitcher Cafe available inside our main building for public use.  Please note, that the Wentzville Community Club is not able to make change.. The WCC property is an animal-free environment. We do not allow any animals to be brought, sold, given away or in the company of anyone unless being used as a certified service animal. If you are found to be in the company of an animal while on our grounds you will be asked to leave. (This does include our parking lots.) This is to ensure a safe and enjoyable experience for all of our guests. Please review our Rules & Regulations prior to participating as a new vendor. In the event of inclement weather please watch this website for updates. or Follow our Facebook page. Wentzville Flea Market. Please note, if bingo is cancelled due to snow or ice on Saturday night then the flea market will also be cancelled.